Camphor oil is a slippery, crystalline, substance extracted from the wood and roots of the camphor tree, by steam distillation. It has a strong, penetrating, fragrance similar to turpentine, a thin consistency and is cool to the touch. The Cinnamomum Camphora, (camphor tree), is a large evergreen growing up to one hundred feet tall, with small white flowers and red berries. It can grow very old. As a matter of fact, it must be fifty years old before producing this oil. This tree grows in Asia, South America and parts of the USA, (Florida and California). There are different colors of camphor: brown, yellow and white. Brown and yellow camphor are toxic and carcinogenic. White camphor is relatively non-toxic, non sensitizing and non-irritating. 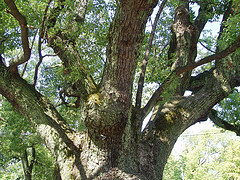 Camphor should never be ingested and only used in safe proportions for topical, skin care. Commercial creams and ointments, such as Ben Gay and Vicks Vapor Rub, contain a small percentage of camphor oil, and considered to be safe by the FDA. Ben Gay helps relieve sore muscles and joints when applied to the skin. Vicks Vapor Rub releases vaporizing fumes, when applied to the skin. Inhaling these fumes can ease respiratory problems, such as coughing or congestion. Today, camphor is usually replaced by synthetic camphor, made from turpentine oil and extracted through a material of pine trees. CAUTION! Camphor should be kept away from children and pets. Avoid if pregnant. Avoid if have asthma or epilepsy. Avoid if causes skin irritation. Avoid if using homeopathic treatment. Never ingest. Homemade soap with a camphor blend may benefit acne or oily skin. Its antiseptic properties help prevent spread of bacteria. It helps get rid of blackheads. Its cooling properties soothes acne, reducing inflammation and redness. A drop or two of camphor oil is plenty in your homemade soap recipes. Camphor essential oil blends well with frankincense, orange blossom, basil, eucalyptus, lavender, rosemary and other citrus or spice oils. Caution should be used when working with essential oils. Essential oils contain bioactive ingredients. This means they contain natural chemicals that interact with biological systems. They're potent chemicals and should be used with care! CAUTION! Never use large amounts of essential oils externally or internally. Never use them straight. They must always be diluted in carrier oil, or soap, lotion, or other buffering agent. Finally, never use them without knowing what their bioactive compounds are known to do.